Ok, so roller derby on ice wouldn’t really be called “Roller” derby. Maybe a better term would be “Blades of Steel” Derby? Many folks in the WFTDA community already refer to the sport simply as “Derby” anyway so perhaps this fast exciting action could cool off a bit and hit the rink at the PPL Arena here in Allentown. Yeah, I know… probably not but it was a nice daydream. 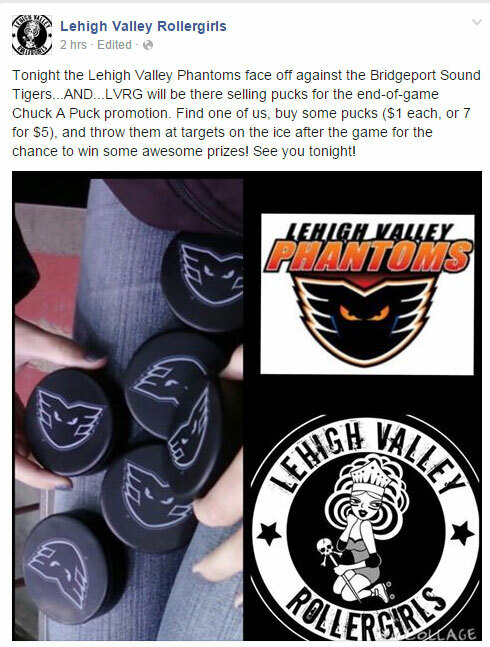 In reality, though, the LV Phantoms and LV Rollergirls are teaming up tonight!